Do your emotions rage out of control during tennis matches? Do you find it difficult to play well when you’re upset or frustrated? Frustration, anger, resignation, sadness and anxiety are normal emotions. People experience these emotions in everyday life. For example, being stuck in traffic and knowing you are going to be late for an appointment is frustrating and can boil over into anger and anxiety. Being dominated by a lower ranked opponent in the biggest tournament of the year can create feelings of sadness even before the match has finished. You are not alone in experiencing these emotions. If you polled the Top 100 tennis players in the world, all would admit to experiencing these emotions at various times in their careers. So when do these emotions become problematic for tennis players? First, players think they should be able to control their emotions or stop emotions from happening. Since emotions are normal, when an athlete experiences a bit of frustration or anger, they believe they failed in their attempt to “control” their emotions or see themselves as mentally weak. Secondly, some players have not learned to manage their emotions during matches. Without strong mental skills, a little frustration can escalate into a raging storm of negative emotions. These strong negative emotions become a major distraction and cut off a player’s focus from what they need to do during a match to win points. The key to dealing with emotions is not to try to control those emotions but to manage those emotions during matches. Managing emotions requires that you learn how to be the director of your emotions. Certain emotions help your play while other emotions detract from your performance. 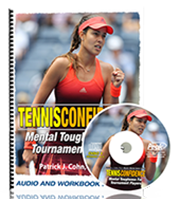 Twenty-one year-old Naomi Osaka has set out to work on her ability to manage her emotions during matches. 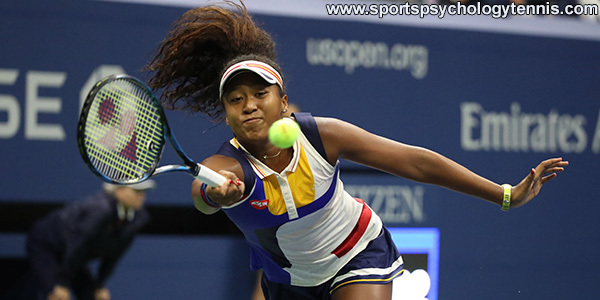 After winning the 2018 US Open, Osaka played in several tournaments where she displayed visible signs of intense irritation, frustration and anger which hurt her performance. After the 2019 Brisbane International, Osaka admitted that she has difficulty managing emotions at times. 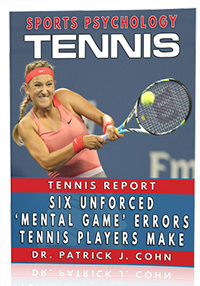 So, Osaka worked on managing her emotions so she could be better equipped to focus on her game. And the result… winning the 2019 Australian Open. In her first two tournaments since becoming No. 1 in the world, Osaka has not made it past the round of 16. In years past, Osaka admitted that she would have allowed negative emotions to overtake her but she has learned to keep these intense emotions in check. At the 2019 Indian Wells Open, Osaka was unable to defend her title and lost handily to Belinda Bencic, 6-3, 6-1. Even though Osaka was dominated in the match, she was able to keep her emotions in check and maintain a positive perspective in regards to the match. There are a couple of ways to view a match. You can allow your negative emotions to taint your thoughts and emphasize all the negatives and lowlights of the match. This point of view provides NO benefit to your overall game. The more effective method to view a bad game is to look at your performance with a bit of objectivity. This requires that you first take a little time to allow your emotions to settle or take a few deep breaths if it is in the middle of a match. Next, you need to credit yourself for the things you are doing well and determine if there are things you can do to improve upon your game. With this positive approach, you will gain a sense of control preventing your emotions from running wild and your confidence from plummeting to new depths. 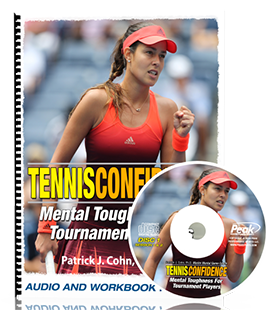 You cannot eliminate emotions during a tennis match but you can learn to manage those emotions better and play more consistency. …But, first, you must be all in on developing a strong mental game. 1. Be aware of your hot buttons (triggers) or what gets you upset during a match, such as a bad line call or missing a routine short ball into the net. 2. Have a prepared strategy to help you cope for each trigger, such as deep breathing, relaxation cues, refocusing strategies, mental time-outs, etc. 3. Practice your prepared strategy for letting go of mistakes or mishaps in your regular training. Visualize yourself getting upset and finding your inner peace as you refocus on the next point or game.